So you have read my first tutorial designers become front enders part 1 and now you want to start using some of what you have learnt with html and css. Well ok let’s go for it! Well actually before you even start coding let’s talk setting up a site structure. This is completely up to you but to have some order and structure is a very good idea for maintainability and ease of use for yourself and anyone else who may have to pick up your site and work from it. 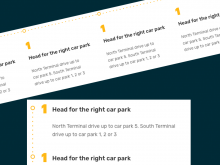 So you would have seen in my previous tutorial how a basic site is set up in the head. Let’s get coding! Inside the opening <body> tag we put the overall container div. 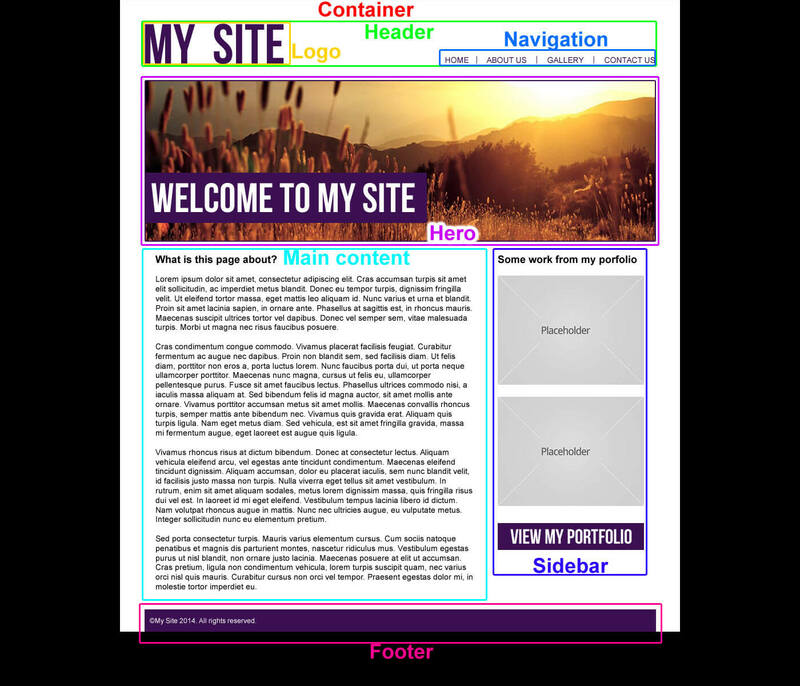 That is your main container controlling your site you will end up setting your site width with this and centring it, but more of that later. Cool so that is your top of the site ready to start work on, after the header we have the hero area, main content area and the sidebar area. As you build more complex sites these will probably have further div’s inside of them but let’s start simple for this tutorial. There we go all your div’s are in place. One note on the logo, some old school sites might still use the H1 tag for their logo but this is a bad idea for SEO as every page will then have the same H1 so now we use a div. Also with the logo you could obviously just slap your image tag in that logo div to have your logo sat in place but it is much better practice to have it as a background image and real text in place, again more of that later. Time to add some content! Inside your logo text you would put your company name in this case “my site” this would also usually be a link back to the homepage so let’s wrap it in a link tag, we are only coding the homepage so it does not need to go anywhere, for that we can just put a # in the href. One thing I have not explained so far is tabbing. To keep your code nice and neat and easy to decipher it is a really good idea to tab each element in. So body is there then inside the body is your container so you tab that in, then inside the container you have the header div, inside that your logo div then inside that the logo text etc. This really helps you see what elements are inside what and to easily find the spot you need to edit in your code and you can follow the chain for CSS styles too. Moving on to the navigation these are list items so let’s put an unordered list in place and these will also be links to other sections of the site (we are not building them today so we will put links to # for now). Onto the hero, for this example we are keeping it very basic so no slider or anything like that just a standard image for this one. Of course if we was doing this more advanced this is like to be a slider of some sorts and we would use the font as real text and position the purple bar over the image and maybe animate it in etc but that is further down the line in your learning. When using images don’t forget them important alt tags. The main content div will consist of a H1 for the main title and then paragraphs for all the text. Wow looks like a lot now right? But you can see as step by step your webpage grows without you even realising it and looks more complex than it actually is. Time for the sidebar content. This will consist of a H2 tag for the heading and then images with links around them as these would usually link off to the portfolio piece or activate a lightbox etc. Again as I keep saying this is just a basic tutorial to get some structure and styles in place so we will just have these as images in the page with links again to nowhere we use # for them. Finally we will have the button at the bottom this wil just be an anchor tag which will style up later to appear like the button and add hover states etc. As with the hero the button uses a special font but we will just use an image when we style it later on. Finally the footer we can add the colour and padding and everything needed with styles so all we need here is some simple text. Right so we have all our structure and content in place. Now it is time to lay this out and actually start making it look like the design. The first place to start is to use a reset css. You can make your own or use one some kind folk have already made for us. A reset basically makes your elements appear the same in all browsers. As browsers set their own rules on margins and paddings on elements such as paragraphs a reset will make them all the same straight away rather than try and tackle them individually later on when you have set your own. 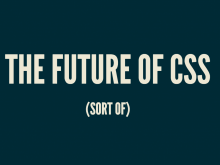 I usually use Eric Meyer’s css reset but there are many more out there. Then to start adding our own styles to layout all these divs add the font styles the colours and everything else you would include all your stylesheets you use. Generally for sites I use files such as structure.css for the layout of the site, typography.css for all the different font styles I use, a main.css file for all your specific styles over the site such as button styles etc, then this could grow too many other files depending on the size and complexity of the site. In fact when it comes to the images for assets I mentioned before I would use sprites too but that is a whole other kettle of fish and as again I repeat this is super basic to get you started so we will use separate images (maybe some small sprites for hovering image elements) and just one stylesheet called main.css so let’s create that and hook it up in your head again after the reset.css so the browser will load all the resets first and then work on your styles to make it appear how you desire. The bulk of this page uses the font arial for all the type other than the graphical pieces which we are using plain images for with the text saved on them. Let’s start our stylesheet with an overall rule for making the text be arial with fallbacks in place and most of our text is 14px so we can set that too, most of our text is also black so let’s set that as a general rule. I am sure you are fed up of looking at your page in a huge mess so let’s get the structure in place next. I have used the short hand margin css there, so it is adding 0px margin to top and bottom and auto to left and right which basically as it says does an auto margin to keep the site in the center of the window. Next down we have the header. So this has the logo and navigation inside it which will be floated and the navigation which will also be floated, that is coming up shortly so don’t worry. This can sometimes cause elements below to end up floating in strange places so what we have to do with the header is put a clear in place and then we will add the padding to have the white space above and below the header area. What is best practice for clearing elements is to add in a clearfix rule we would add this class to whatever elements we needed to clear that could have an expanding or fluid height. That is about it for the header container, next up the logo styling. So that’s great we have the block there floating in place, now we need it to be the actual image logo. Where we want this to be a link and anchor tags are not block level elements and we need this to have the set height and width we need to make it a block, simply by using display: block simple ey! Here is how that looks with the same height and width set as the logo image. Cool so we are starting to get some graphics in there, but hang on that text is still visible overlaying your logo! We need to do a little trick here to hide that but keep the text in the html. I use the following technique but if you give it a quick google there are a few options out there. What this does is indent the text -9999em off the area which obviously makes it appear way off the screen so you cannot see the text over the logo anymore. However that wouls still be visible on the screen if you scrolled miles off to the left and makes your site appear very wide. Adding in the overflow hidden makes it not visible and like magic it isn’t there anymore! Now to add the padding and the little bar separators. The bars could be put directly into the code as the | character but let’s do it with a border style. When you get further into your developer learning sprites are a real super tool and a bit of a saviour! But you will learn that, maybe I will teach you one day. That my friends is about it! You have built your first webpage! This still might not be quite pixel perfect but I have done that a little intentionally so you can go through find the little discrepancies and fix it and learn by doing so yourself. Well I can’t just hand you everything can I! I hope you have enjoyed your first steps and you are now excited to play around more, learn more and try more. That is the best way to learn I find, just look around there is tons of stuff out there to help you along then just play and have fun and the more you do it the more you will remember everything and suddenly you will be building full websites with ease. Of course if you want to check out the full code then you can download it here. If you need any help or anything like that feel free to drop a comment and I am sure I or someone else can help you. This entry was posted in CSS, Design, Tutorials and tagged coding, css, design, html, influence, tutorial on March 7, 2014 by SHH Design.